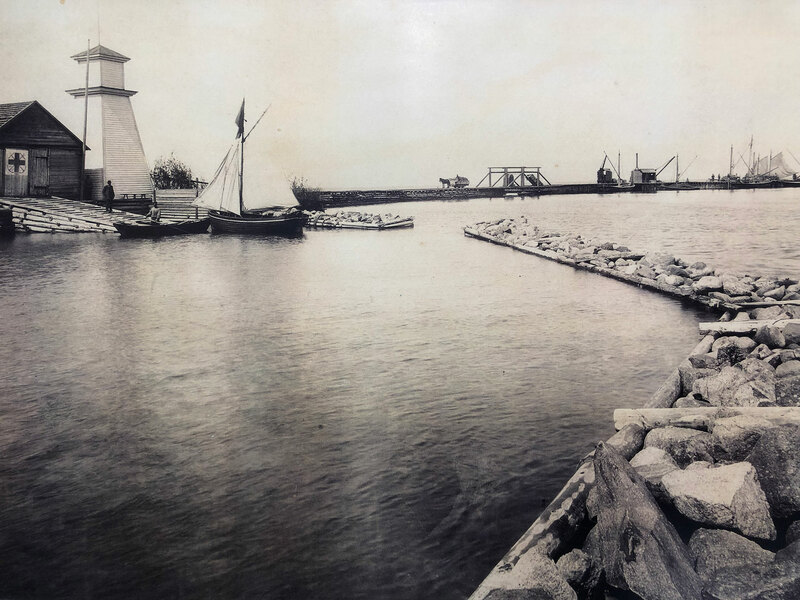 The history of the Port of Kunda dates back to 1805 when the Russian tsar Alexander I granted a permit by his ukase to build the Port of Kunda. 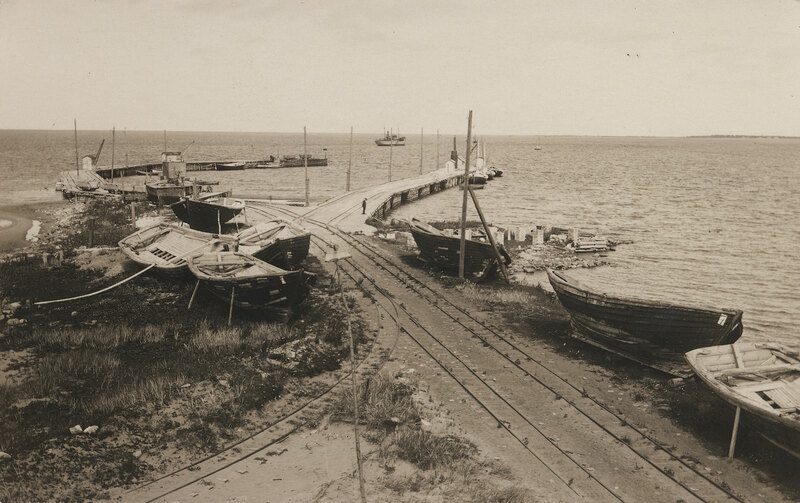 A jetty was built at the mouth of the river, and the Port of Kunda commenced its operation. In 1812, a customs office was established there through which salt, herring and coal, later on even tobacco, ironware, etc. could be imported. Products of the Viru county were exported, i.e. 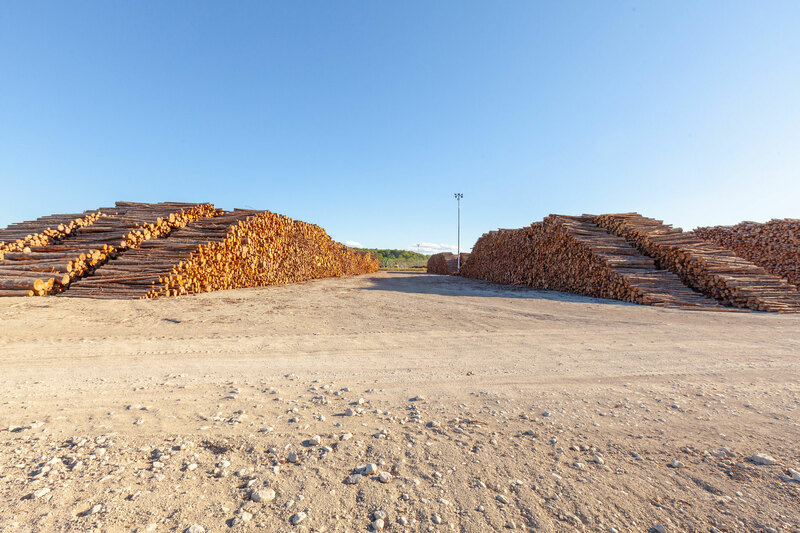 timber, grain and spirits. After the port was completed, many sawmills were built on the riverside of the Kunda River, and their production – boards and planks – was mainly shipped to London and used there as construction timber. 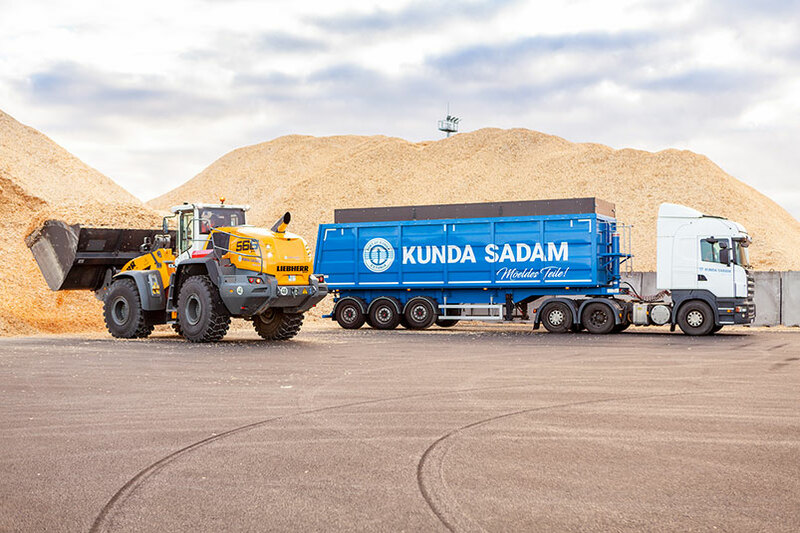 In 1823, the Port of Kunda was transferred into the ownership of Thomas Chayhills & Son, which had been founded in 1633, and they had it at their disposal for over 100 years. In 1869, John Girard de Soucanton, the owner of the Kunda Manor decided to build in Kunda the third cement plant of Russia. In total, four cement plants have been built in Kunda during its history, the latest thereof produces cement even now. 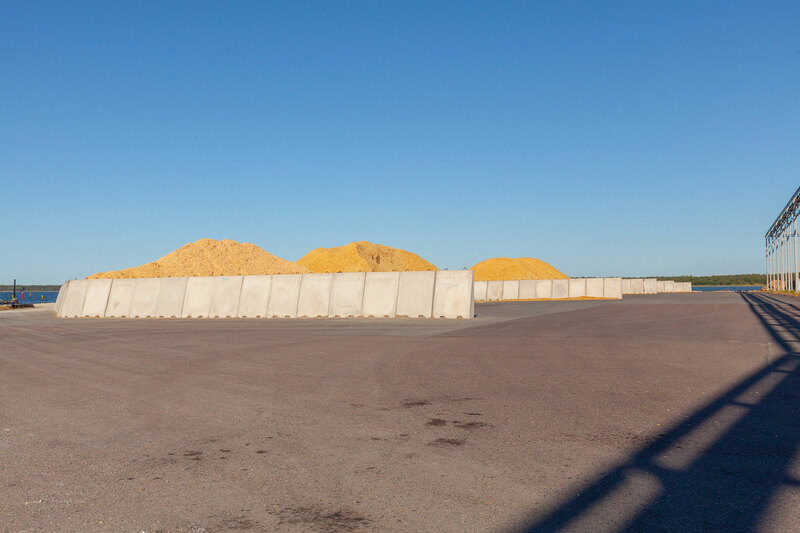 The cement was marketed mainly in St. Petersburg and Moscow, and in both cases it was shipped by sailing vessels from Kunda to St. Petersburg. The main import goods included coal which was mainly used for heating the cement plant. 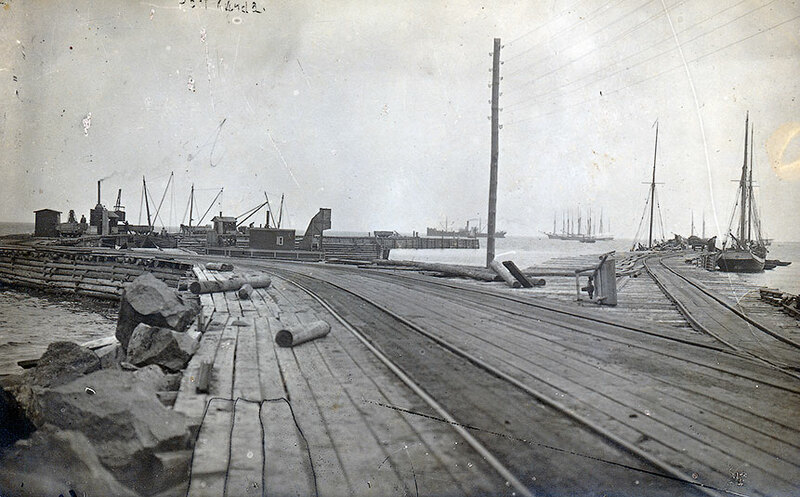 In the 1860s, the rail network of the port was connected to the cement plant in order to facilitate the growing cement and coal transport. 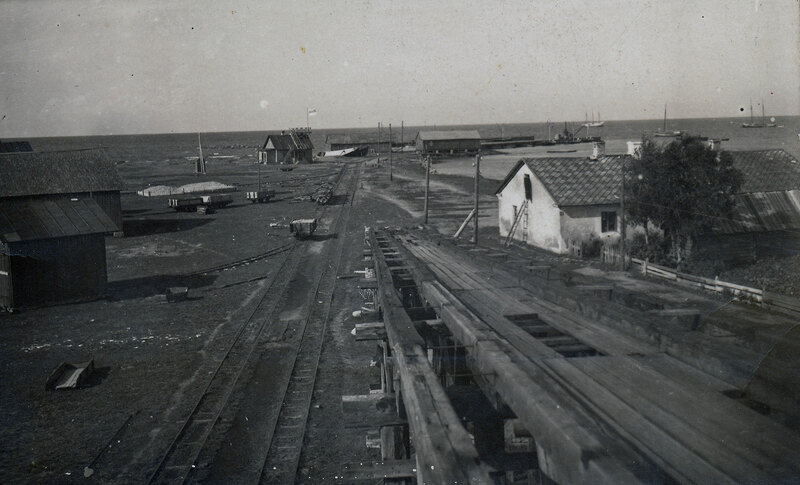 In 1870, the St.Petersburg-Tallinn railway was completed, and in 1896 the Rakvere-Kunda railway branch. While the first steamship visited the port in 1894, then in 1913 already 4/5 of the visits to the port were made by steamships. 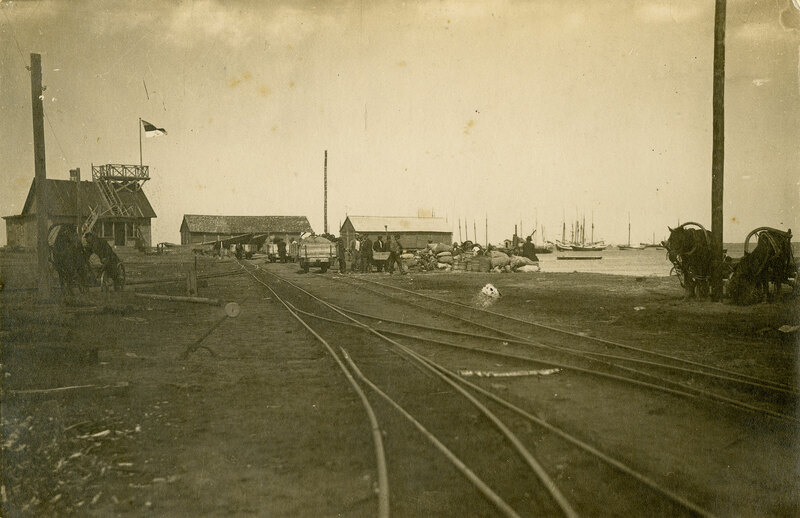 The transhipment of the goods took place in the roadsteads. 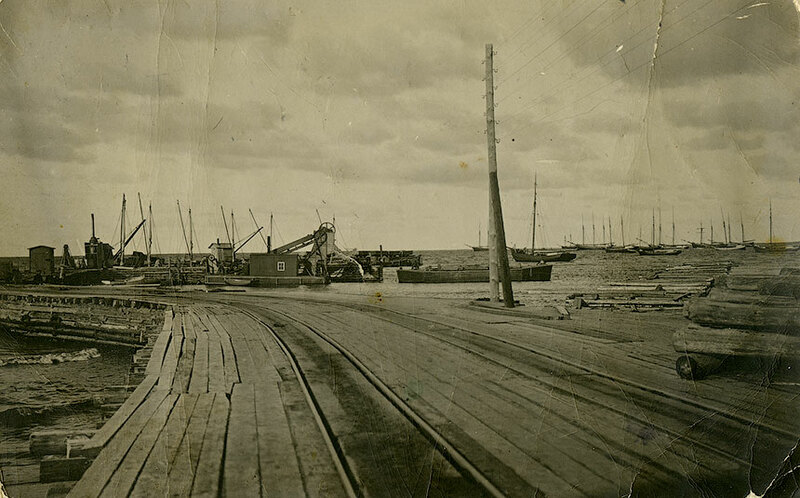 At the end of the tsarist era, Kunda already had a decent port. 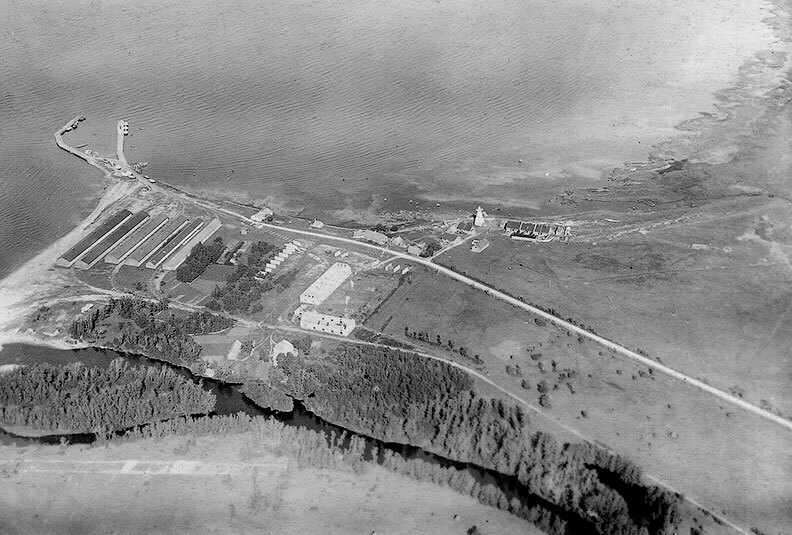 As a result of the First World War and the economic crisis thereafter, the importance of the port of Kunda decreased sharply – the cement plant started to burn domestic oil shale, the transport of cement to other countries stopped, and the customs policy of Finland put an end to the potato trade. 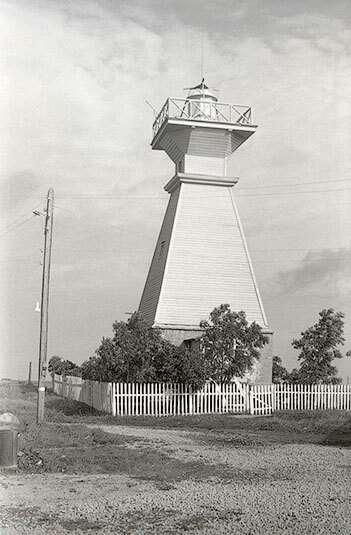 The operation of the cargo port of Kunda terminated in 1940 and the port was not used for fifty years. In 1992, AS Kunda Nordic Tsement, which was founded in the same year, started to build a port in its old location. The port was designed for export of cement and clinker from Kunda, and it was re-opened in 1994. During the construction of the port, a new 2.8 km long Uus-Sadama road, bridge across the river of Kunda, breakwater pier and two cargo berths were built. In 2000, the third cargo berth was built. 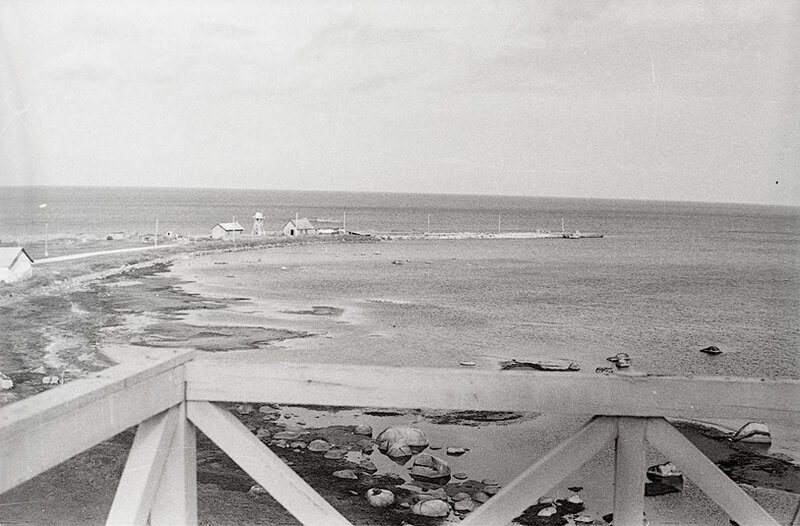 The channel was deepened in order to allow entry to the port. The channel’s length is 1.2 nautical miles, depth 10.5 meters and width 70 metres. 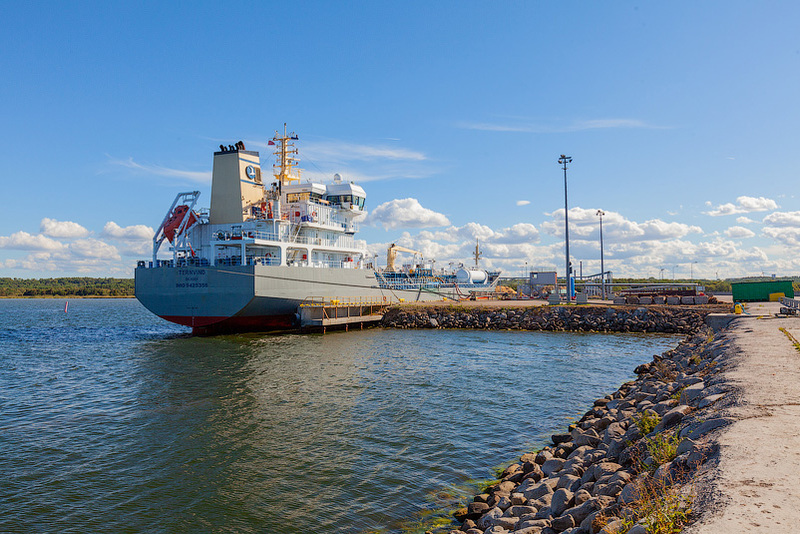 The depth of water in the port basin is up to 9.3 meters depending on the berth. In 1999, the HeidelbergCement Group acquired the majority shareholding in AS Kunda Nordic Tsement. 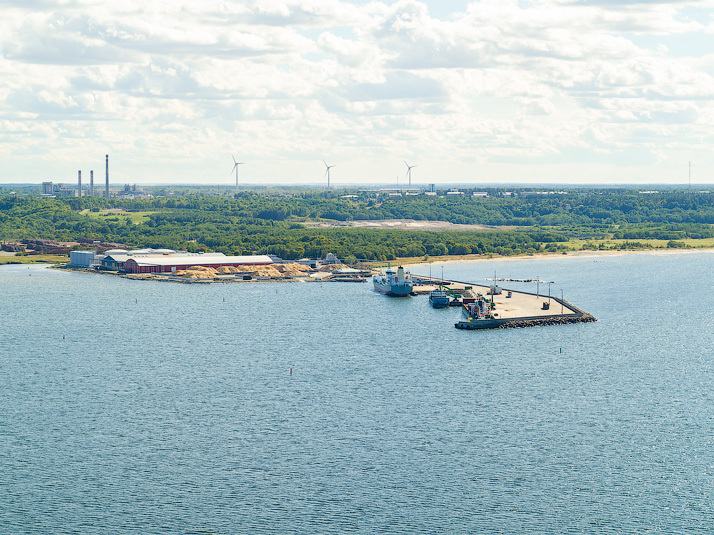 In 2014, the Port of Kunda celebrated its 20th year of operation. 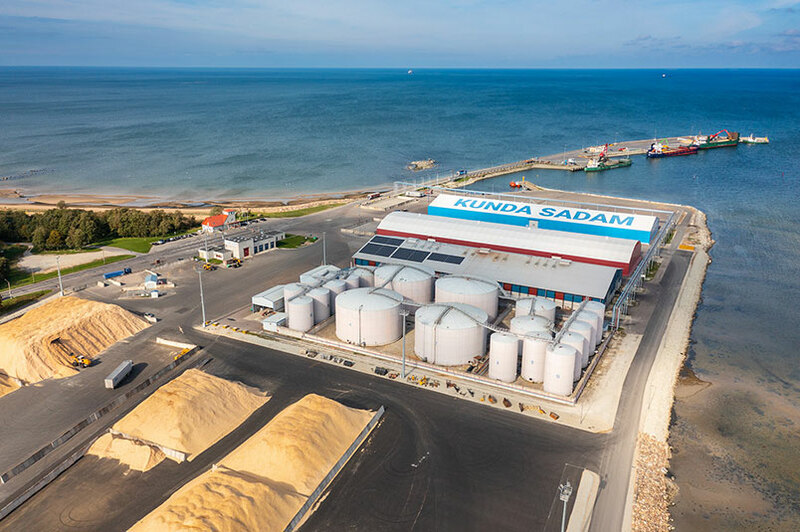 In October 2018, Kunda Sadam AS, which belongs to the Baltic Maritime Logistics Group, acquired the Port of Kunda as a separate economic entity. 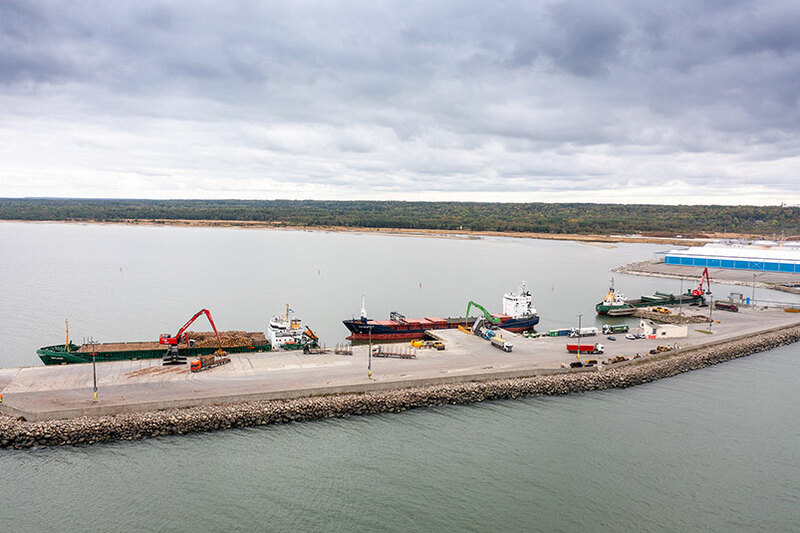 For the first time in its operating history, a company controlled by Estonians became the owner of the Port of Kunda. Since February 2019 Kunda Sadam AS loads itself the cargo at the port and timber terminals and also operates the closed cargo warehouses. 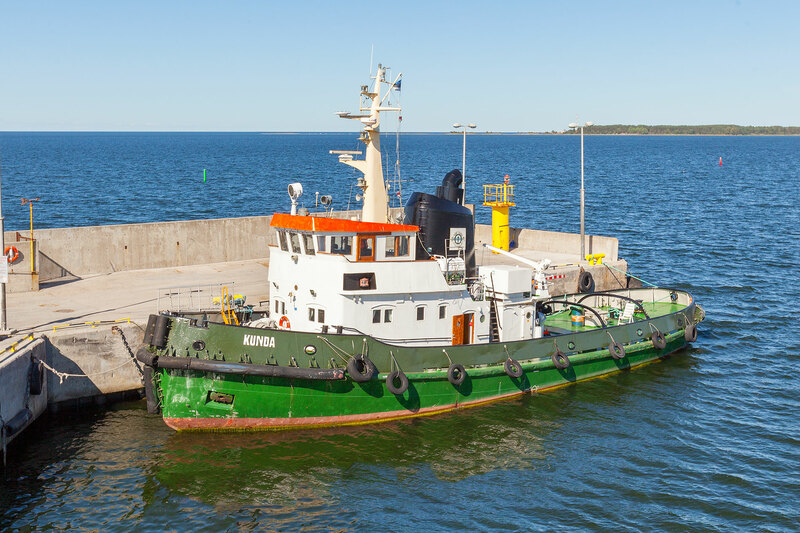 The Port of Kunda is an active regional commercial port in the Gulf of Finland, on the southern coast of the Bay of Kunda between Cape Toolse and Cape Ulluneem. Consignors and shipowners appreciate the port due to its customer friendly attitude, rapid loading and good service. 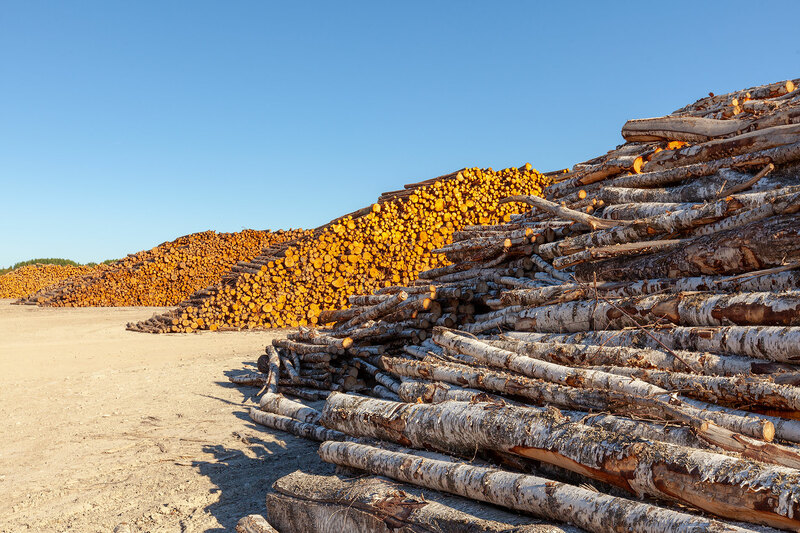 The most important export products include pulpwood, woodchips, sawdust granules, peat, agricultural goods, the most important import goods include crushed stones and sawn logs. 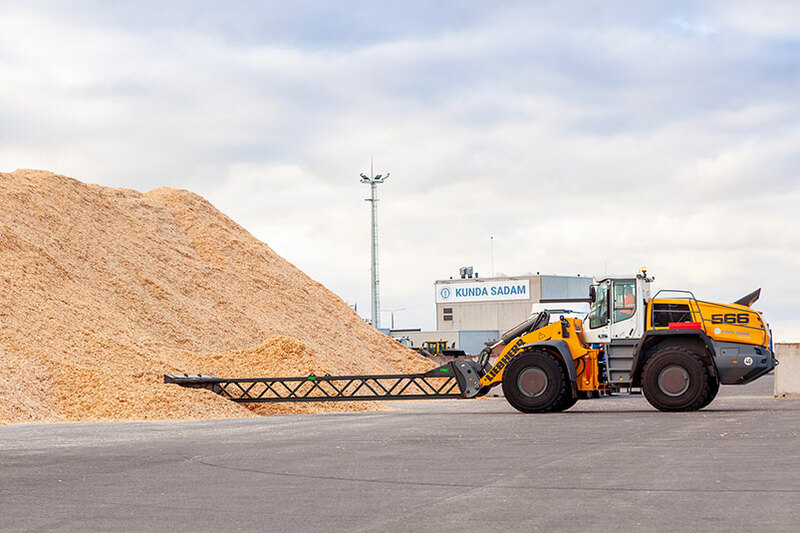 The port also handles the raw materials imported by the factories located in Kunda and around it and the export production thereof. The port has three berths where the vessels are loaded and unloaded and where the goods are stored. 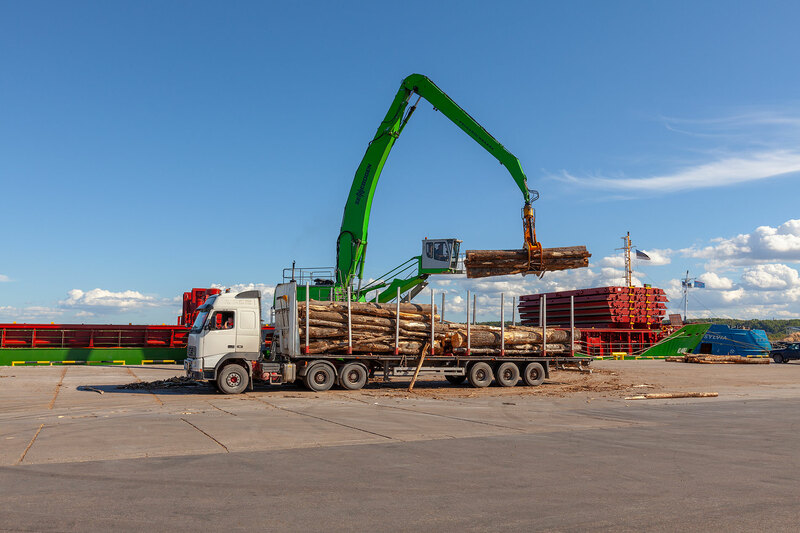 The port is able to process vessels which load carrying capacity is up to 12,000 tons and which maximum dimensions are the following: length 150 metres, width 30 metres and draught 8.5 metres. 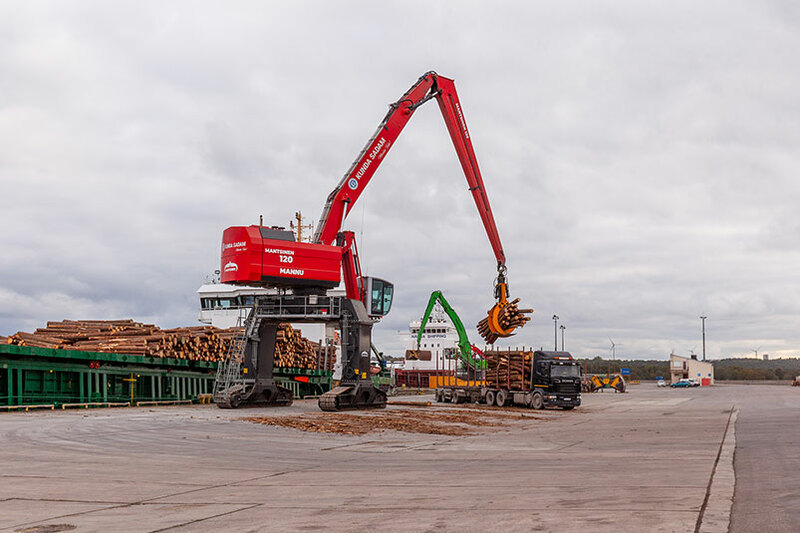 Mobile cranes and front-end loaders are used for processing the cargo. 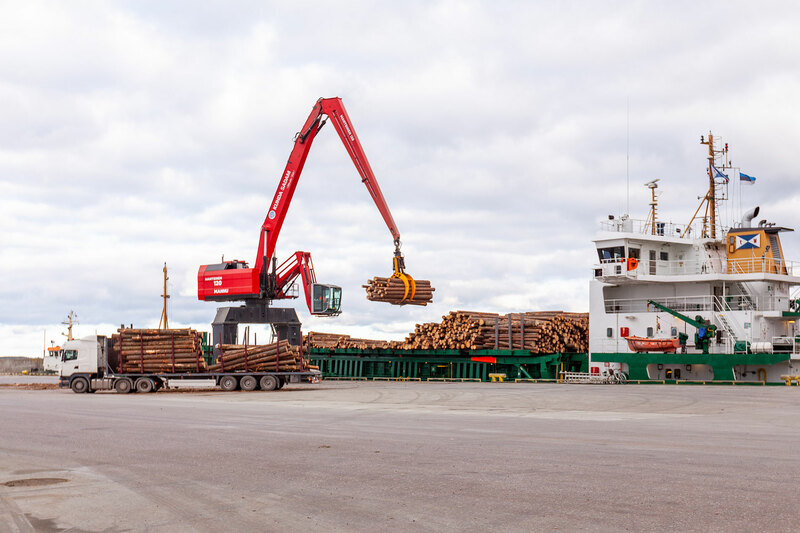 The port services are provided around the clock; various bulk cargo and general cargo as well as liquid cargo are handled here. 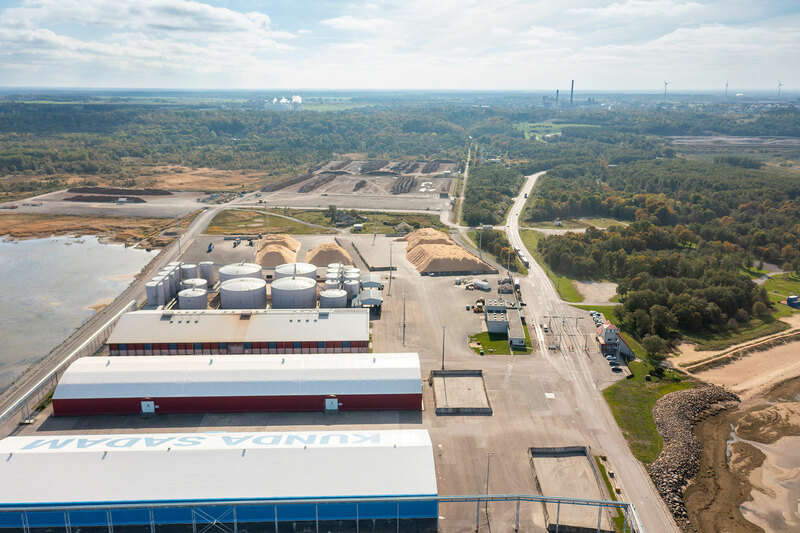 Goods can be stored at more than 8 ha of open and 1.2 ha of closed storage areas, the tank fleet of the liquid chemicals terminal amounts to 52,000 m³. 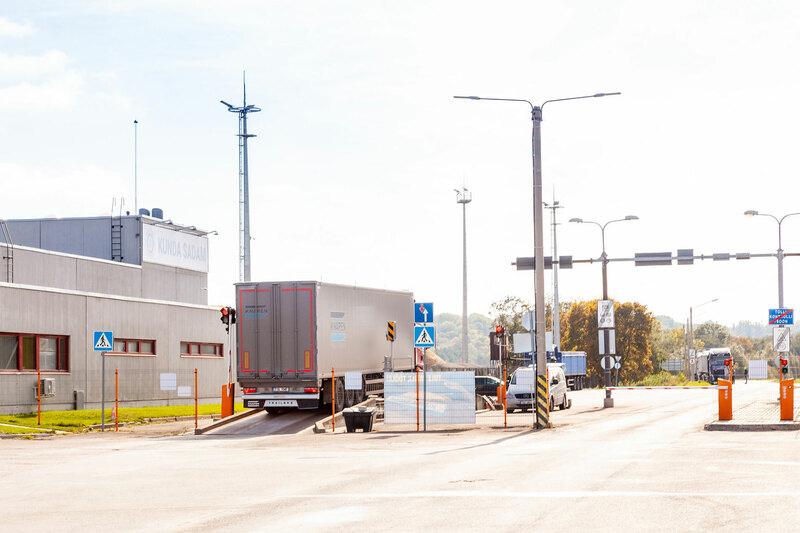 We provide the cargo weighing service by truck scales. The port provides the service of a towboat to vessels in order to assist them for mooring purposes and when manoeuvring in the water area of the port. 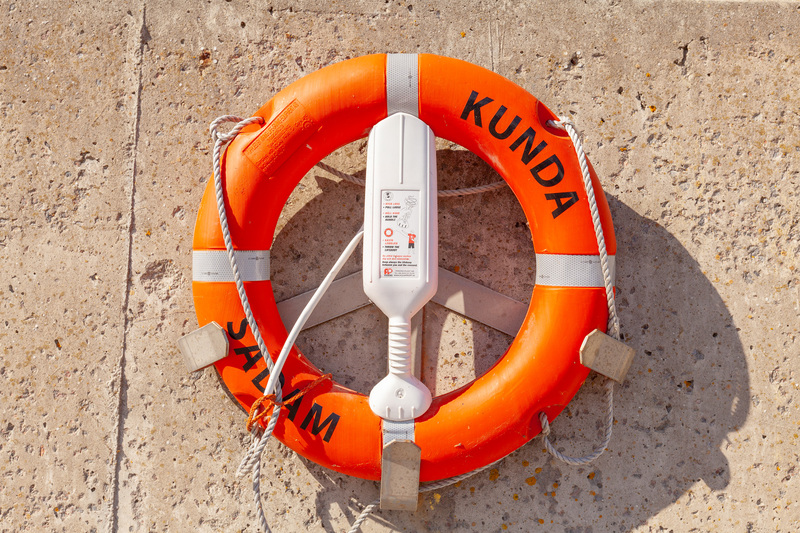 All the persons operating in the port area of the Port of Kunda are required to comply with the port security requirements and notify of all incidents which may endanger the security of vessels, crew members or the port by calling +372 322 9861. The security requirements are based on the Ports Act. To enhance the security of international marine navigation, the International Code for the Security of Ships and Port Facilities (ISPS Code) was developed by the International Maritime Organization (IMO) and entered into force on 1 July 2004 as a part of the International Convention for the Safety of Life at Sea (SOLAS). On the basis of the ISPS Code, Regulation (EC) No 725/2004 of the European Parliament and of the Council on enhancing ship and port facility security was issued on the same subject, and it specifies certain elements of the ISPS Code and imposes certain additional requirements. The objective of the security measures arising from the specified legislation is to prevent any emergencies caused by malicious activities and ensure preparedness for security incidents. The port controls the movement of people and vehicles in the port area. All the people who enter the port area and stay there should consider the possibility that they may be subject to security inspection. 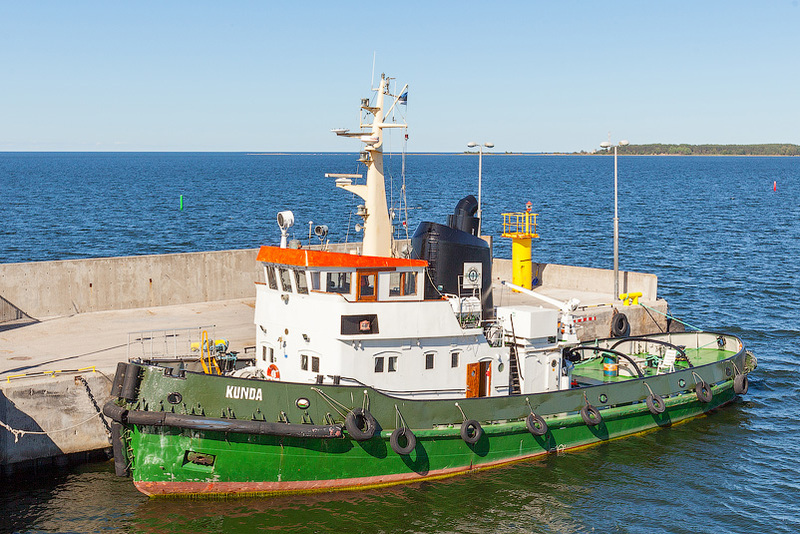 With the aim to enhance marine navigation in compliance with Directive 2002/59/EC of the European Parliament and of the Council and the legislation of the Republic of Estonia, the Estonian state is required to collect and preserve and communicate certain information related to maritime transport to the information system of the European Maritime Safety Agency – SafeSeaNet (SSN). 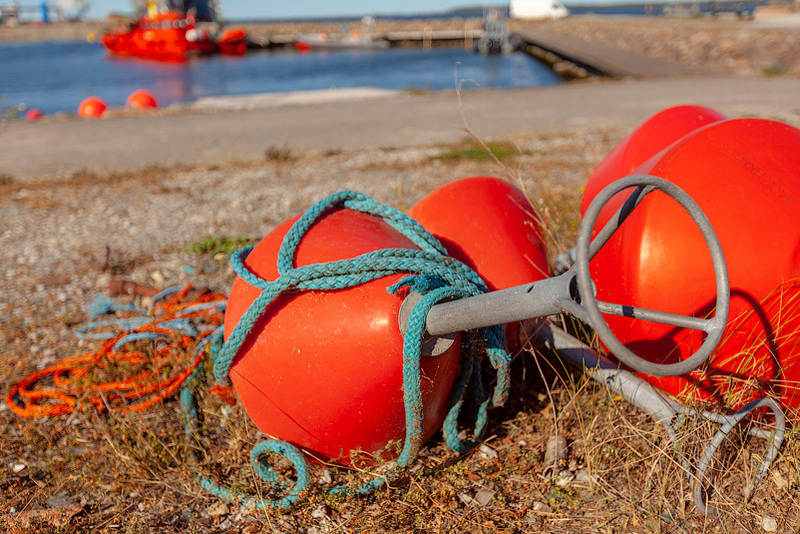 The prior security notice must be communicated by the master of the vessel, vessel’s security officer, ship agent or, in the absence of a ship agent, by the shipowner via the electronic marine information system. The information included in the prior security notice shall constitute the basis for authorisation of the vessel to enter the port or for refusal thereof. The form of the prior security notice was approved as Annex 3 to the circular No. 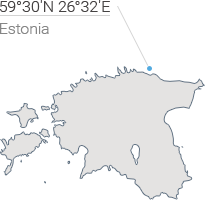 255 of the Estonian Maritime Administration dated 23.01.2014, “Compliance with the requirements of the International Code for the Security of Ships and Port Facilities, International Convention for the Safety of Life at Sea, as amended, and Regulation of the European Parliament and of the Council”.